Mark Adams Studio: "Sherwood in a pool"
Toutes mes félicitations pour cette oeuvre. I love this. 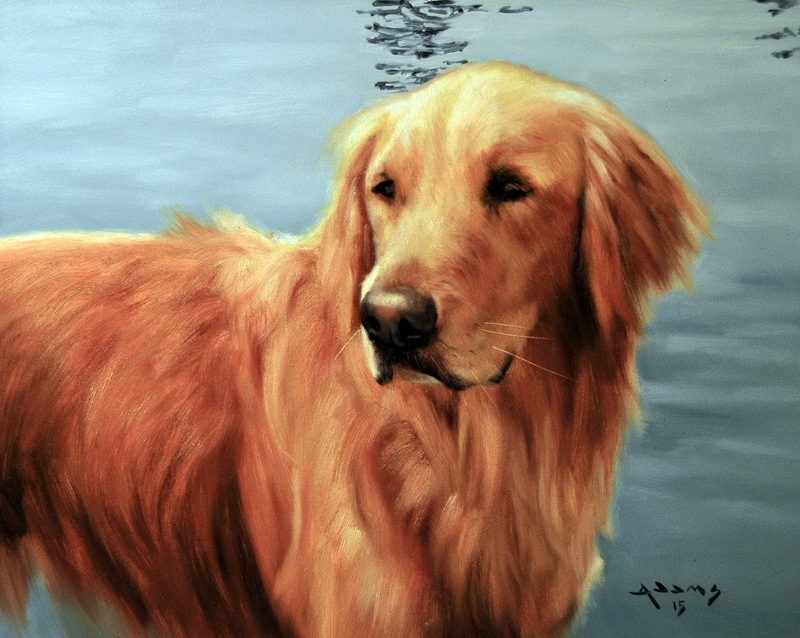 Love how it captures the gentleness and softness of Retrieivers. Nice job. A perfect setting and what a sweet face. Thanks, Margaret. Sherwood is a sweetheart.